CSF Chair Rich Polimeni spoke to Pittsburgh Post-Gazette about the growth of 529 college savings plan gifting options. The Private College 529 Plan, Virginia529, Fidelity Investments and Gift of College were cited for their growth. Forget that new Fisher-Price pirate ship. Gifts to college savings plans spiked over the holidays. The holiday gift-giving season was an especially merry one this year for college savers. The Private College 529 Plan — created by a consortium of private colleges to allow families to pay for education costs in advance at nearly 300 private colleges and universities — saw a 94 percent increase in contributions at the end of 2018 compared to the same period in 2017, according to the Washington, D.C.-based College Savings Foundation. Other 529 college savings plans also reported generous gifts pouring into individual savings accounts during the fourth quarter. Virginia529 saw a 70 percent increase. Gifts given to Fidelity Investment education savers were up 43 percent; and Gift of College — basically a registry that gives access to 529 plans and offers gift cards for sale at Target and other retailers — saw a 35 percent gain in gift contributions at the end of 2018. “The vast majority of the college gifting sites charge no fee, so it’s free for the client and for the giver,” said Richard Polimeni, chairman of the College Savings Foundation, a nonprofit organization that represents the college savings industry. Not long ago, when gift cards linked to a child’s college savings plan were introduced to the marketplace they were seen as novelty items. Parents often felt uneasy about asking friends and relatives to make contributions to their children’s college savings accounts instead of gifting toys and other items. But families are increasingly comfortable with the notion, Mr. Polimeni said. “Online gifting tools and registries make it easier for parents to share their interest in saving and for family and friends to help them,” he said. Every state in the country has at least one 529 plan. Some states offer more than one. There are currently about 90 plans and the vast majority offer tools for people to make online contributions to individual savings accounts. The 529 plans — named for the section of the federal tax code that established them — are state-run programs that allow families to invest funds for college. Contributions grow tax-free and may be withdrawn tax-free to pay for education. Contributions aren’t deductible from federal income taxes, but many states — including Pennsylvania — allow a deduction on state tax returns. Pennsylvania allows a tax deduction up to the annual gift exclusion amount — $15,000 per contributor or $30,000 for a married couple. Pennsylvania rules are considered especially generous because the state will give contributors the deduction regardless of whether it is a Pennsylvania plan or an out-of-state plan. It used to be much harder to make a gift to a child’s 529. Donors had to print out a form, know the account number and mail a check directly to the provider. The process was so cumbersome that many people ended up just giving cash or check directly to the parents. Today, most 529 plans have online systems in place to allow contributions from individuals. These tools reassure contributors that the money is going where they intend for it to go. 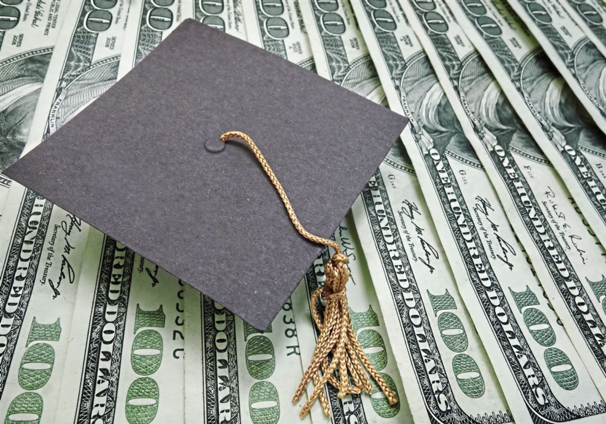 Although funds from 529 plans cannot be used to repay student debt — without incurring a penalty — saving money in a plan can be a way of avoiding education debt. Student loan debt affects an estimated 43 million Americans. According to Student Debt Relief, total student debt stands at $1.52 trillion; the amount borrowed each year is $106.5 billion; 60 percent of college graduates have debt; and the average debt per graduate is $37,172.